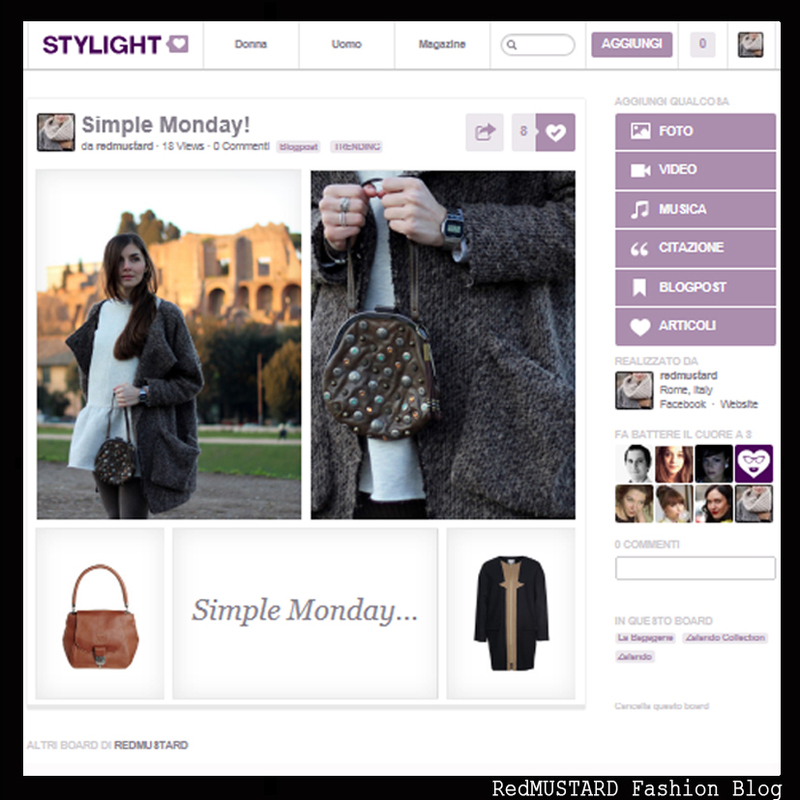 REDMUSTARD Fashion Blog: STYLIGHT: democratizing fashion! STYLIGHT. Buongiorno a tutte! Oggi voglio parlarvi di STYLIGHT! Stylight è una scatola virtuale che racchiude un motore di ricerca incentrato interamente sul mondo della moda MA, cosa veramente innovativa, affianca a questo una creativa Fashion Community all'interno della quale tutti possono dettare il proprio trend, ispirando e lasciandosi ispirare. All'interno del sito sono presenti più di 400.000 articoli e ben 70 negozi come Luisaviaroma, asos e molti altri, dove gli articoli sono divisi per categorie e possono essere filtrati per marca, shop, colore, articolo e prezzo (es. : http://www.stylight.it/Borse/ oppure http://www.stylight.it/Moschino/). Penso che STYLIGHT sia un'intuizione geniale, con l'idea di una community che, escendo fuori dai soliti schemi, rivoluziona il modo di percepire la moda attraverso uno scambio continuo di idee ed opinioni. All'interno di questo contenitore virtuale tutti posso esprimere la propria sensibilità verso la moda attraverso la possibilità di inserire accanto al proprio look il proprio umore in musica! Quì sotto alcune screenshots prese dal mio profilo di stylight, RedMUSTARD, voi cosa aspettate? Ci vediamo su STYLIGHT! STYLIGHT. Good morning to everyone! Today I want to talk to you about STYLIGHT! 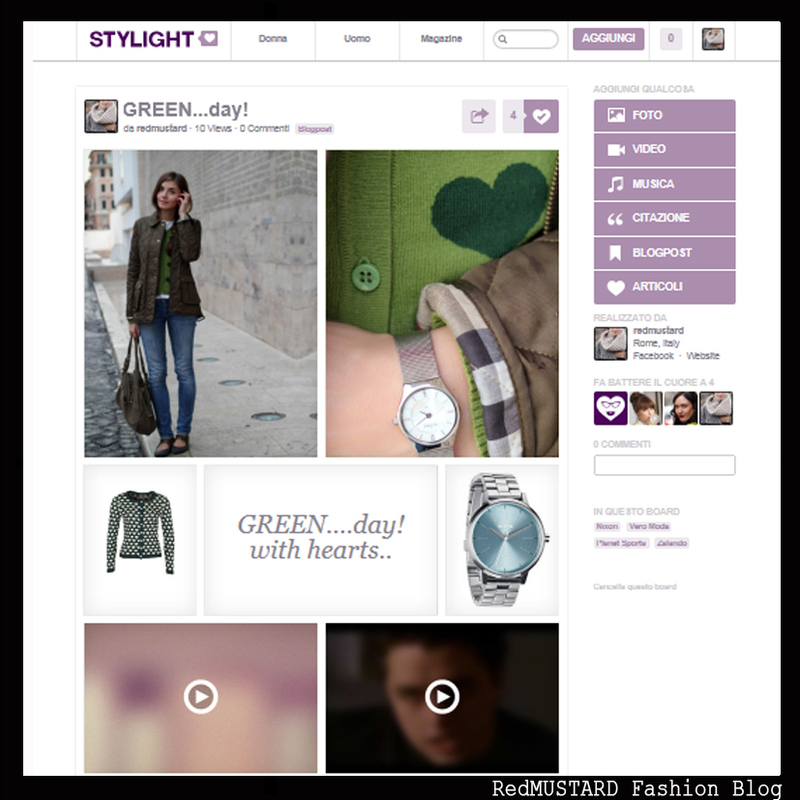 Stylight is a virtual box that contains a search engine focused entirely on the fashion world. It's a creative fashion community in which everyone can upload their favourite pics and share inspiration with your friends and other fashion lovers. In the site there are more than 400,000 items, and 70 stores such as Luisaviaroma, asos and many others, where the items are categorized and can be filtered by brand, shop, color, item and price (ex. : http: / / www.stylight.it/Borse/ or http://www.stylight.it/Moschino/). I think STYLIGHT is a stroke of genius, ​​a community where we can do "fashion" through a continuous exchange of ideas and opinions. In this "virtual container" everyone can express your sensitivity to fashion through you create stunning fashion mood boards with your favourite photos, videos, songs, quotes and fashion finds. Here some screenshots taken from my stylight profile, RedMUSTARD. What do you think about it? I'm using Stylight as well! I didn't know this virtual box.It's a fantastic app to create our own outfits.Thanks for sharing it! I havent heard about this virtual box, but it looks great!! Thank you for sharing it ! Hola guapa, gracias por tu comentario en mi blog!Yo ya te sigo! Me encantaría que tu me siguieras tambien! Un besito!